Despite the criticisms of its latest three games, BioWare still has the full support of Electronic Arts. BioWare is in a very unique position at the moment. One the one hand, its last three games were arguably the most anticipated of the developers entire history. On the other hand, those three games were Dragon Age 2, Mass Effect 3, and Star Wars: The Old Republic, the first two of which divided the fanbases of its franchises while the third saw subscription figures drop six months after launch. Despite the ups and downs of the past 18 months, BioWare still has friends backing it up, in particular EA COO Peter Moore, who still has confidence in what the developer can accomplish. "They're doing great," Moore told Eurogamer. "You say the last 12-18 months, I think of three things: I think of Star Wars: The Old Republic, I think of what Mass Effect 3 has done and all of the offshoots we've done of that, and then a little bit further back Dragon Age. So from that perspective I think the studio has done great." Moore noted that most of the problems faced by these games had little to do with the products themselves, all of which enticed the gaming community. Mass Effect 3 alone generated over $200 million in sales while The Old Republic was EA's most pre-ordered game ever. The difficulties were based almost entirely on the receptions of certain game elements, which Moore and BioWare can use to better develop games in the future. 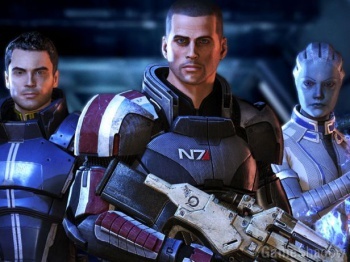 "Nobody in entertainment has more passion and a bigger megaphone than gamers," Moore said regarding the Mass Effect 3 ending. "So the team at BioWare, again, to their credit, said, all right, we're going to stop a few things right now, the team's going to go back and provide some DLC, no charge, to provide more context around what went on there." Mass Effect isn't the only BioWare franchise attempting to adapt to its fans after a shaky start. The team is already using player feedback as it develops Dragon Age 3, while The Old Republic will go free-to-play to draw back the subscribers it initially lost. "So rather than crying about spilt milk," Moore continued, "we're going to evolve [The Old Republic] into a hybrid model ... We're just reacting to consumer feedback by doing that."